When most people hear the words “natural mattress” they think “no worries,” believing the bed is made of completely safe materials. That may not be the case according to a new warning from Consumer Reports magazine. 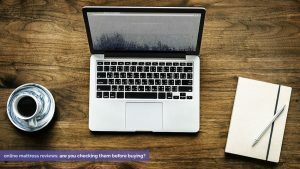 The popular product review organization says you could be breathing in Volatile Organic Compounds (VOCs), chemical flame retardants, formaldehyde and other compounds your “natural” mattress is off-gassing. These hazardous materials can cause real health problems. Rangan says the presence of these chemicals is an unnecessary risk to consumers. People who are sleeping on these toxic substances probably agree! What can you do to make sure you’re not putting yourself in harm’s way? Consumer Reports has some advice for you. Courtesy of WFMY News 2. The word “natural” is basically meaningless in mattress marketing speak. There are no standards behind the term and no certification process. There are some certifications you can look out for, however. Organic is a well-known term that people usually associate with healthy and safe. In the U.S., the organic description should be backed by a certification from a recognized body. However, mattresses labeled “organic” may only have some certified organic components. For example, it could just be the cover or one component that is organic. Consumer Reports advises finding a mattress with 95 percent certified organic materials. Your mattress should also prohibit the use of potentially harmful chemicals, materials and processes. Look for the Global Organic Textile Standard certification and the Global Organic Latex Standard for mattresses with latex. These certifications are trusted worldwide for their strict qualifications. 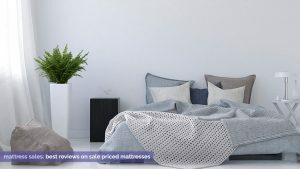 While these mattresses can be expensive, some retailers offer organic certified latex mattresses for reasonable prices. Textiles like cotton and wool can also be certified organic, for use in mattress covers and padding layers. Always check for the certifications of a product claimed to be organic, and ask about each component within the mattress (the cover, padding, and each layer). The Oeko-Tex Standard 100 certification is another to watch for. It isn’t an organic certification, but it ensures the mattress meets a standard for harmful chemical emissions. Most chemical flame retardants and allergenic dyes of concern cannot be used in mattresses with this certification. There are many things to look out for when purchasing a healthy mattress. Industry certifications help make it easier on consumers feel confident in purchasing a safe mattress.